Firstly, in the morning we come and pick you up at the Chan May or Tien Sa port then we start our shore excursion to marble mountains and hoi an ancient town. So, we will drive to Da Nang via Hai Van tunnel. This tunnel is the longest one in Southeast Asia. On arrival at Marble Mountains in Da Nang, as per request, we can visit a marble carving factory to admire the talent of local artisans (optional). Then we visit Marble Mountains – they are five marble peaks in Vietnamese belief named after five elements: Water, Wood, Fire, Metal and Earth, but Water mount is the biggest one. Therefore, Marble Mountains are known for its holy sanctuaries, natural beautiful caves, Buddist temples, pagodas. At arriving, we will take lift up then wander around this lovely spot and pay a visit to 7-level Xa Loi pagoda, Linh Ung Temple. Followed the tour is another visit to Van Thong cave with a small trail leading you to the summit with stunning views of Non Nuoc beach. Furthermore, you will come and enjoy visionary atmosphere at the nicest cave Huyen Khong – formerly used as a hospital during the war and the local people used to shelter themselves inside these Marble Mountains. 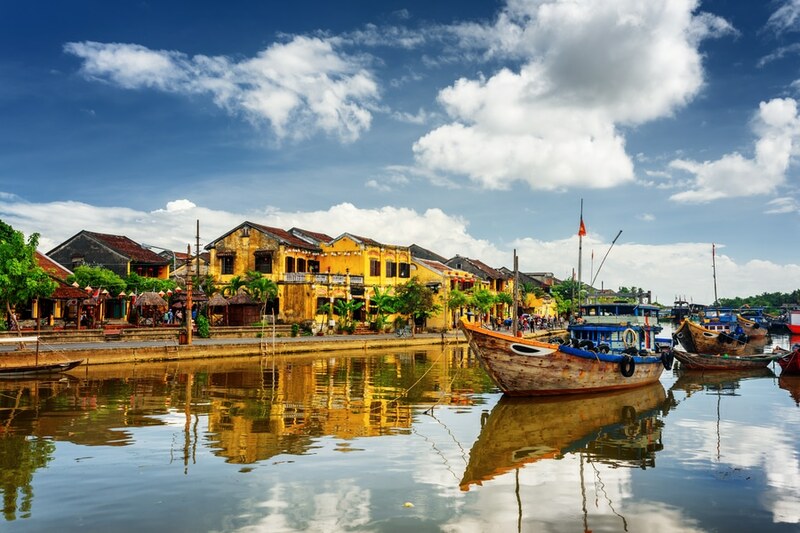 After that, we then go back down stairs and then moving on our shore excursion tour by car transfer to Hoi An city to enjoy Hoi An city tour. On arrival, we will visit a Chinese Assembly Hall – formerly a communal house or meeting place for Chinese community in Hoi An. Next, we will explore Tan Ky ancient house which is typical of Hoi An architecture, and 400-year old Japanese covered bridge – officical symbol of Hoi An people. Moreover, we will head to Hoi An central market for you to know the daily life of people as well as witness how vibrant a Vietnamese market is. After all, you will have free time on your own before we the tour guide will meet you at a certain point and take you back to Da Nang city. On the way back, we can take some pictures at My Khe beach. 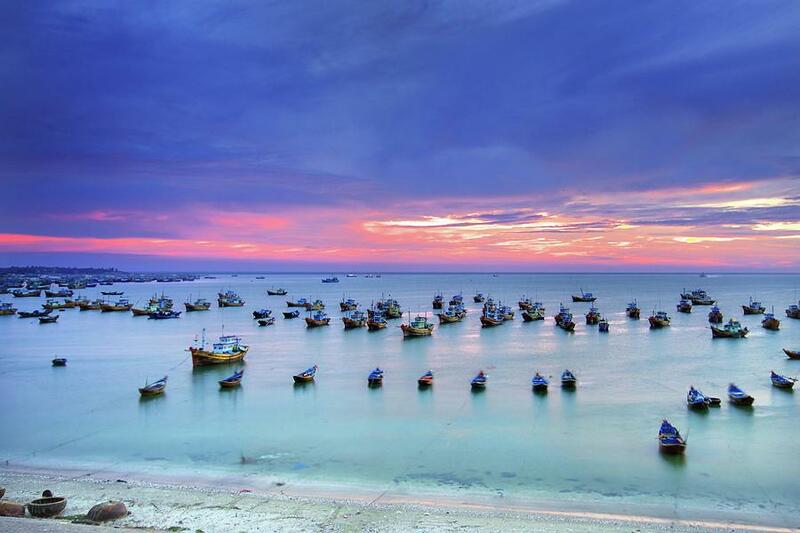 From here, you can overlook the sea and photograph the highest Goddess of Mercy statue in Vietnam. Then we go back to the port and our tour Shore Excursion to Marble Mountains and Hoi An Ancient Town will finish here. What does Shore Excursion to Marble Mountains and Hoi An ancient town trip offer to you? 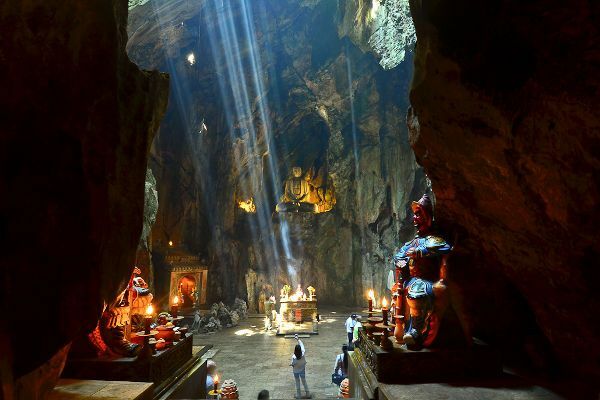 First, being a part in this tour, we take you to adventure the charm of Marble Mountains in Da Nang city with many Buddist temples, pagodas and pretty caves. Also, the guide will tell you some interesting stories of Buddism so you will know more about it and we feel tolerant in our life. 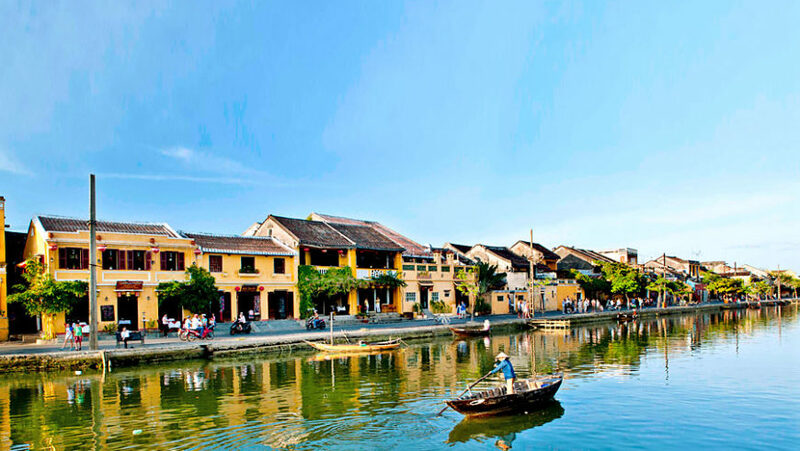 And we come and visit historic Hoi An ancient town – a charming ancient town by Thu Bon river. It is the so called “lantern city” in Vietnam. Next, we pay a visit to some ancient relics of Hoi An so that we know some typical architectures of Hoi An’s ancient buildings. 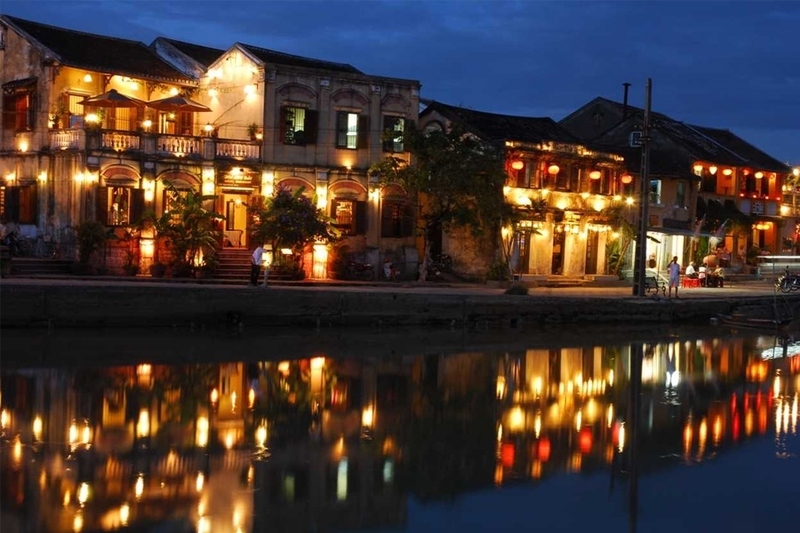 And finally, Hoi An is well known for its delicious cuisine so let’s taste some of Hoi An’s specialties in some of the best restaurants in town. Let’s start the tour around 8:00 a.m at seaport in Hue or Da Nang so that we can come back to port in time. – In months of September, October, November; it sometimes rains due to stormy season; in months of December, January, February, it sometimes has monsoon rain, let’s bring rain coats with you. For the rest of the year, it is usually hot and humid.